ICP Forests is a European-wide network of forest sites to study the effects of air pollutants on forests. Scientists have been measuring ozone concentrations since 2000 on 233 research sites in 18 countries and have observed a small but statistically significant decrease of mean summer concentrations. Southern Switzerland, however, remains one of the regions with the highest ozone levels in Europe; areas in Northern Europe are less affected. The aggressive pollutant causes visible symptoms on leaves and needles on many sites of the ICP Forests monitoring network. The symptom development depends on the species and how well the trees are supplied with water, light and nutrients. Ozone may affect tree growth and water metabolism, and contributes to degradation of forests and their important services: these include provision of clean air and groundwater, timber for construction and energy, protection against natural hazards and of biodiversity. Ozone is a gaseous air pollutant present in remote areas – due to long-distance transport of airborne pollutants – at levels causing visible symptoms in plants. Despite a significant reduction, ozone levels at ICP Forests sites still exceed the threshold value above which adverse effects can occur. 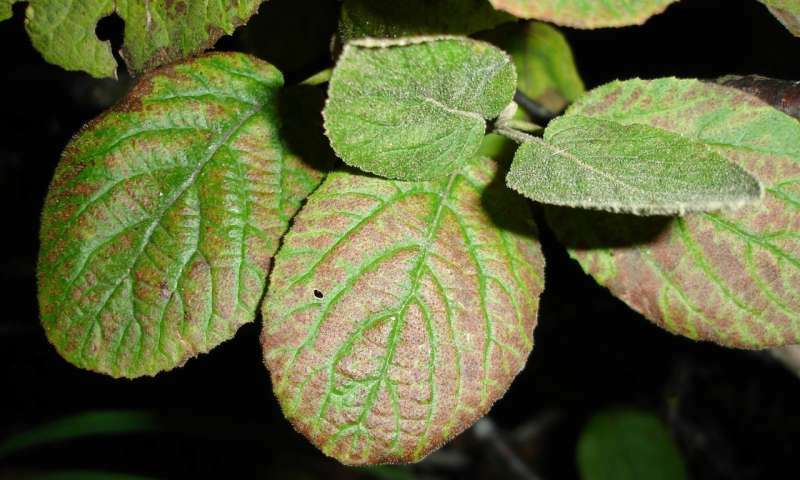 Ozone-induced foliar symptoms have been observed on woody plant species all across Europe. Further observational and long-term monitoring studies are needed to better quantify dose-response relationships and a potential impact on forest growth.